When June came to a close, inflows to Lake McConaughy during the month had entered the records books as the fifth highest since storage began at the reservoir in 1941. Wet Junes are not unprecedented, nor particularly unusual. Historically, peak inflows typically occur in October – following the end of irrigation season – and June, often because of spring precipitation and snowmelt runoff. However, this June’s inflows were more than four times the historical median of 74,924 a-f and were somewhat unexpected. Inflows to Lake McConaughy in March were only 85 percent of the historical median of 75,959 a-f, and April’s inflows were 82 percent of “normal.” Projections, upstream storage conditions, and weather patterns did not indicate the likelihood of much of an uptick in inflows, but frequent and sometimes heavy precipitation in May altered the trend. Inflows during May surged to 163,429 a-f, almost two-and-a-half times more than the historical median, and well-above average inflows continued throughout the month of June. 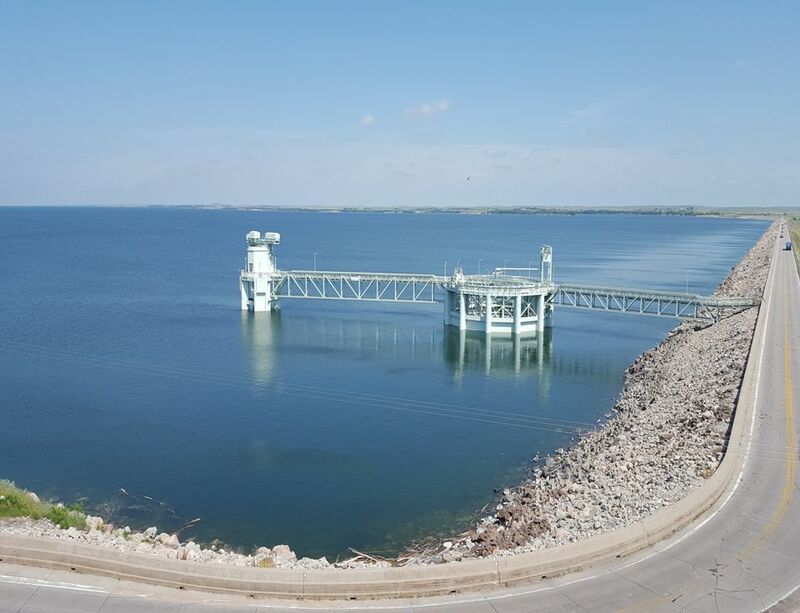 The much needed inflows raised Lake McConaughy’s storage level to elevation 3,263.1 feet on June 30, less than two feet from the maximum operating level that was established in 1974. The maximum level was put in place after high winds during a 1972 storm caused significant wave damage to the face of Kingsley Dam. The storm occurred when the reservoir’s elevation was above 3,266 feet; maximum designed elevation at the time was 3,270 feet. Just in case, Central recently sought and received a waiver from the Federal Energy Regulatory Commission to exceed the 3,265.0 elevation by up to two feet if necessary to hold back North Platte River water and prevent it from contributing to flooding conditions in stretches of the central Platte River being caused by high flows in the South Platte River. July arrived with the typical hot, dry conditions (although it was raining again as this post was being written), and flows in both the North Platte and South Platte rivers are beginning to recede. Irrigation demand is also picking up slightly, although growers will monitor soil moisture conditions before irrigating. Abundant soil moisture often inhibit good root development, simply because crops’ roots don’t have to go far to find water. As the rivers and inflows begin to recede, it now appears unlikely that Central will need to exceed its normal maximum elevation. What does appear likely is that Lake McConaughy will be in excellent shape in terms of next year’s water supply.